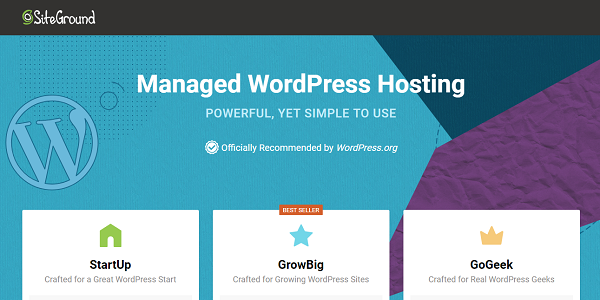 SiteGround is a great hosting solution for WordPress lovers. They provide stable, secure, super fast speed and best customer support service to their customers. They have developed in-house tools for WordPress users. Today starting a self-hosted WordPress blog is not too much technical for a newbie. Even if you want to start a blog right now, you don’t have to pay too much money for your domain name & hosting plans. You can get SiteGround monthly plan is as low as $3.95/month. If you host your website or blog with our exclusive SiteGround promo URL, you will get 60% OFF + FREE Website Transfer (Save $30). 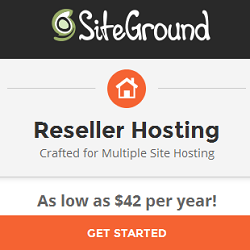 To get the following major benefits, host with SiteGround. 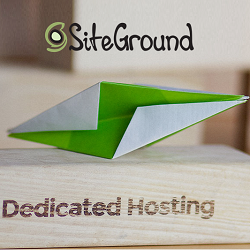 SiteGround offers different hosting platforms to suit every need! Each type of hosting service they provide is further optimized with unique performance tweaks. 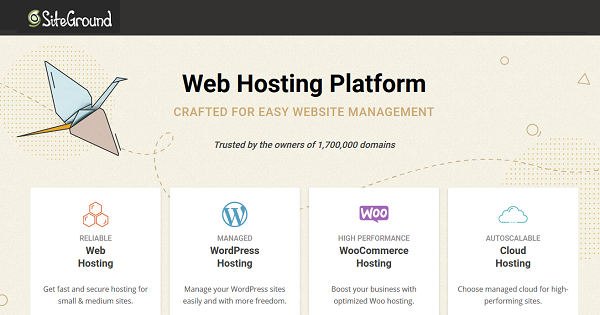 You can choose any of the hosting plans (Shared, WordPress, Cloud and Dedicated). This article will help you to get SiteGround WordPress hosting plan for your website or blog. 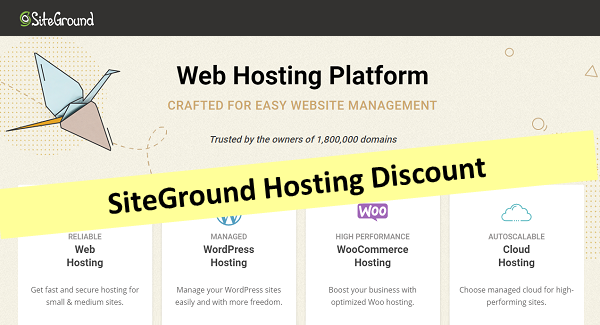 Step-1: Click here to get the special discount from SiteGround. 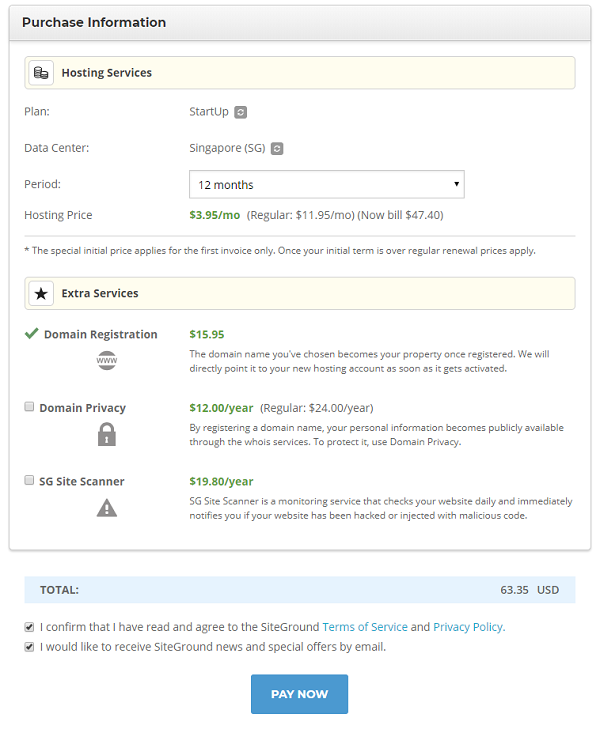 Now click on “Choose Plan” to proceed for different hosting plans under WordPress category. Step-2: Now you have to decide which hosting plan you would like to buy. Your choice of a plan can depend on various factors such as your budget, the number of sites you want to host, and what kind of website you’re planning to launch. SiteGround comes with multiple plans each with different features and price. If this is the first time you buy, you should go with Startup plan to explore your options. Once you start your blogging journey and get a decent visitors then you can upgrade to GrowBig plan. You should consider GoGeek version if your popularity shoots at the top. 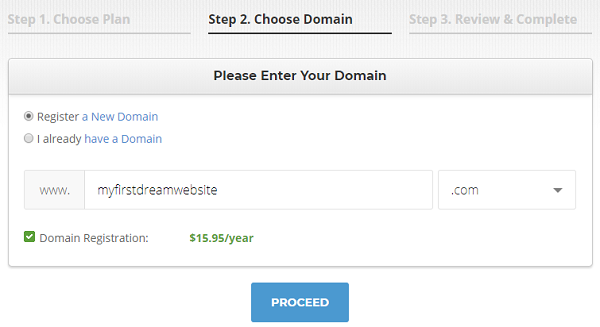 Step-3: On the next page, you will be asked to register a Domain Name. For success of your blog and to become a brand, Domain name is very important. So choose it wisely and type your desired domain under “Register a New Domain” and SiteGround will show you whether it is available or not. If you have already registered your domain name with someone else and want to transfer then type under “I already have a Domain”. 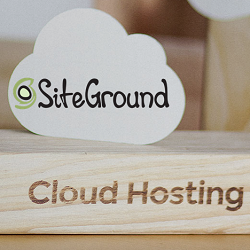 The domain will remain FREE as long as you host with SiteGround. 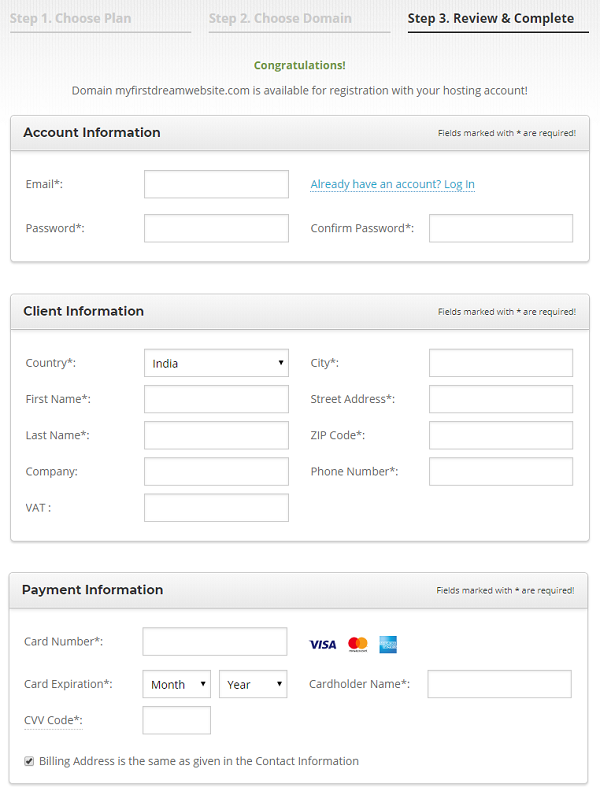 Step-4: After selecting your domain name, SiteGround will take you to the registration page where you have to enter your Account Information, Client Information and Payment Information. You can make the payment via Credit/Debit card. Step-5: Select the package details which you want to buy. To save more money, I would recommend to buy 36months plan. Because if you buy 12months plan then you will have to pay regular price for next coming years. You will get a FREE domain registration with your account. The domain will remain free of charge for as long as you have an active account with SiteGround. Click on “Pay Now” button to complete the payment. Once your order is successful, you will receive login credentials on your email.